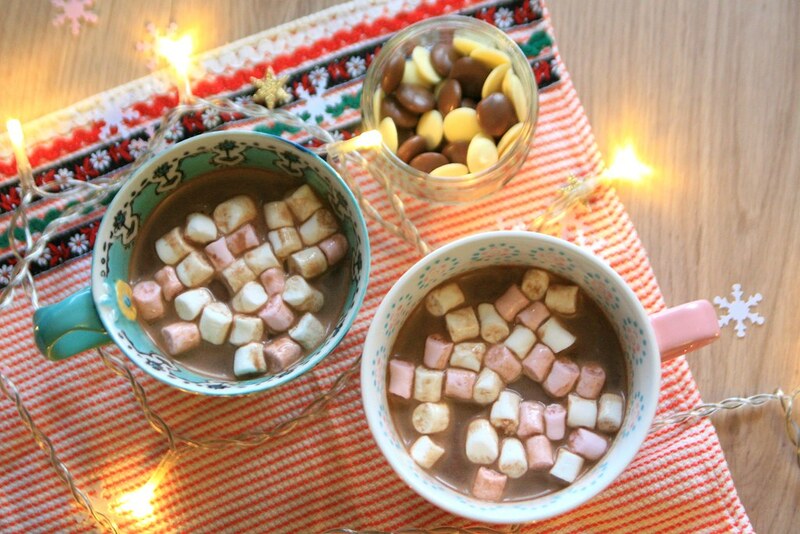 Hot chocolate is a drink that seems synonymous with winter: it's warming and comforting and sweet and wonderful, and at this time of year, it's just perfect to add a little bit of spice too. 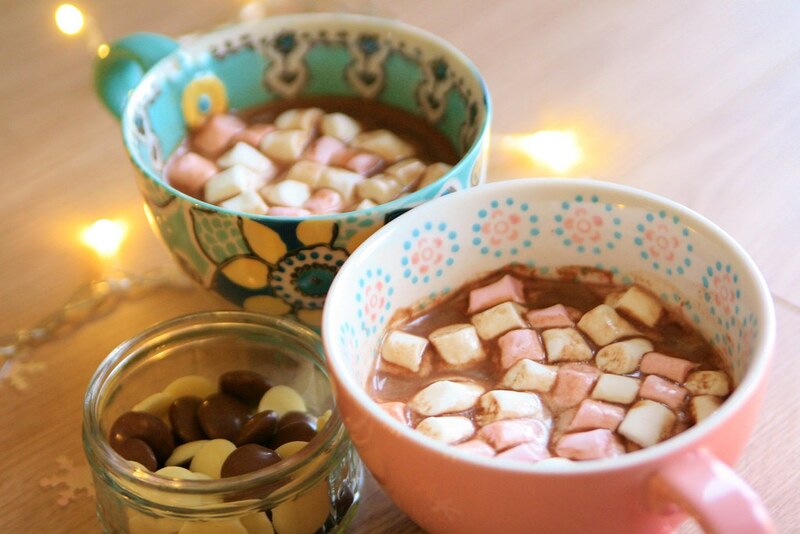 When I've got time, I like to make my hot chocolate properly from scratch, and I have a particular way that I like to make it, a recipe that I have evolved over time. I'm no connoisseur and I can't pretend this is the best hot chocolate in the world. 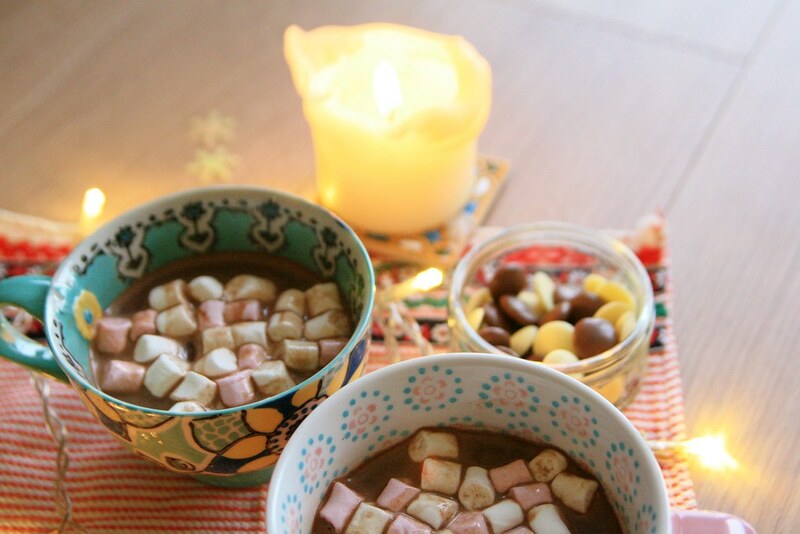 But I can say that this hot chocolate is exactly the way I like it; the hot chocolate that I imagine in my head as we approach the chilly months ahead. 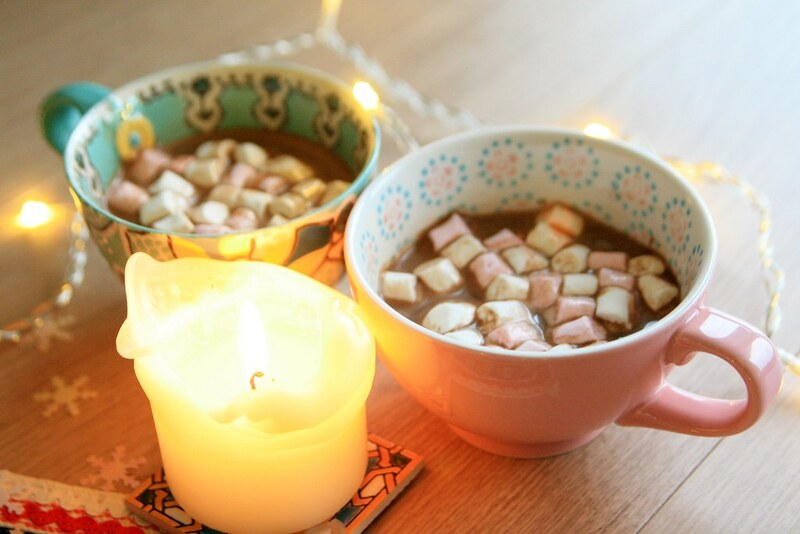 So find yourself a little bit of time, and join me in a cup of delicious, melting, hot chocolate. Optional: Splash of rum. A health splash. Actually, it's not that optional. You'll notice the measurements aren't very exact, and I very much think this should be a do-it-by-eye recipe that you can put together quite quickly. And the quantities aren't hugely important. I always make my hot chocolate in a teacup because this stuff is thick and filling and wondrous and you need a vessel that does it justice. I fill the teacup about three quarters full of milk and then tip a little of it into a small pan. I whisk the cocoa powder into this to form a paste and then tip in most of the remaining milk. Whisk it together and let it warm gently on the hob over a low heat. Meanwhile, stir the cornflour into the last dribble of milk until it forms a paste. Once the milky cocoa mixture is nice and hot, chuck in the chocolate and take the pan off the hob. The heat of the milk will melt the chocolate and after a couple of minutes, give it a stir to make sure all the chocolate is combined. The smaller your squares of chocolate, the quicker this will be, and this way there is no risk of burning the chocolate. Add a pinch of ground cinnamon, another of nutmeg, and a drop of vanilla to flavour, and then stir in the cornflour paste. Return the whole lot to the hob and heat gently, stirring occasionally. The cornflour will cause the hot chocolate to thicken as it starts to boil. Keep stirring to avoid it all sticking to the bottom of the pan. When it's piping hot and thickened up a bit, it's ready. Remove the pan from the heat, add the decidedly non-optional splash of rum and stir it in. Now for the important bit. 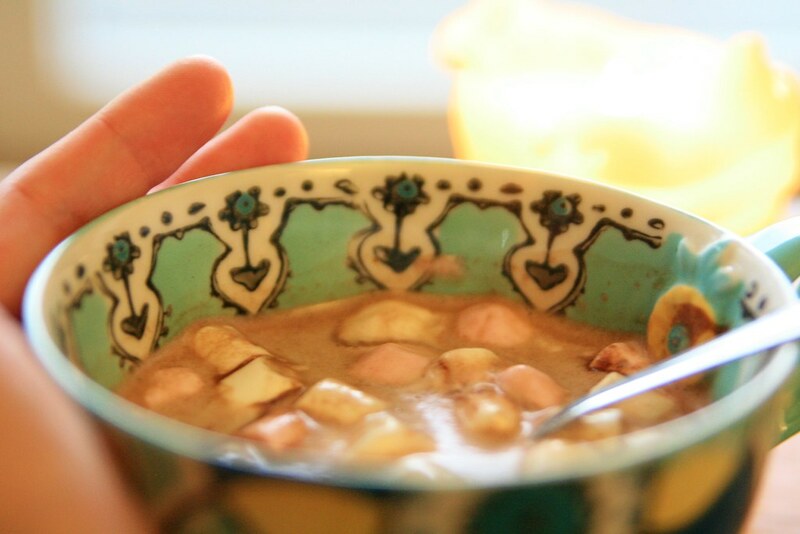 Put the marshmallows in the bottom of your cup and pour the steaming hot chocolate over them. That way, they start to soften, going all gooey on the inside, and each one develops a little halo of lovely smooth meltyness. They will bob to the top and then I sprinkle on little chunks of white chocolate and top with edible glitter. 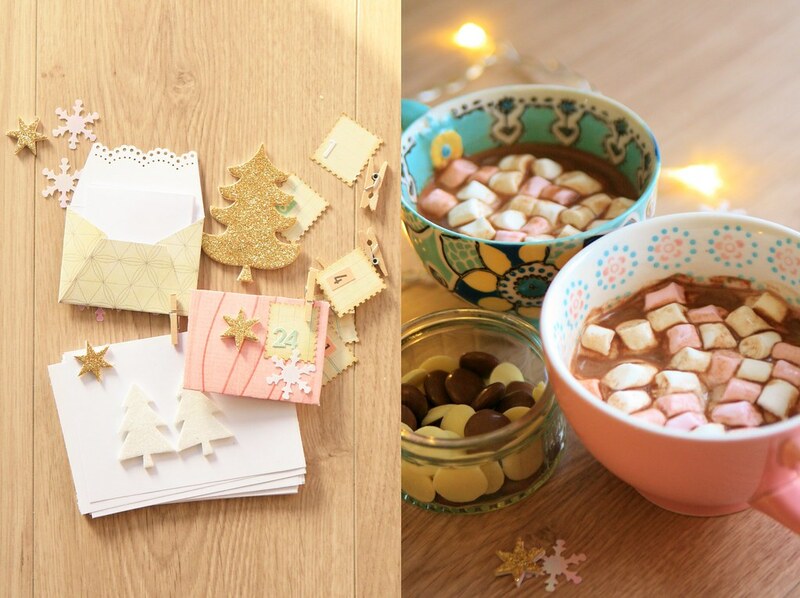 There's no two ways about it: you're going to need a spoon, as this hot chocolate takes on the essence of dessert rather than just drink. But it's beautifully decadent and nice to enjoy indoors with some twinkly lights, some carols on the radio and perhaps a Christmas card or two to write. And a little bit of chocolate to eat alongside. P.S. This blog post is part of my Advent series of entries for Journal Your Christmas: an online class from Shimelle all about capturing and recording Christmas moments. Looks delicious, I need to find a dairy-free version. I recently found out I'm dairy intolerant and I miss things like this. Adding chocolate to cocoa sounds like a good idea.